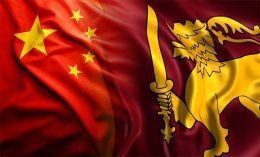 Sri Lanka, which last year handed over a strategic port to a Chinese firm for a 99-year lease as a debt swap, will soon sign a USD 1 billion concessional loan agreement with Beijing to fund a major highway project linking Colombo to the hill resort of Kandy. 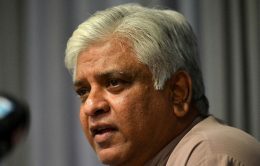 Sri Lanka cricket legend Arjuna Ranatunga predicted Friday that the country would fall short at this year’s World Cup because of corruption by officials and player indiscipline. 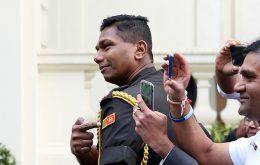 An arrest warrant for a former Sri Lankan military attache, convicted of public order offences after making cut-throat gestures at protesters, has been revoked without a court hearing following Foreign Office involvement.